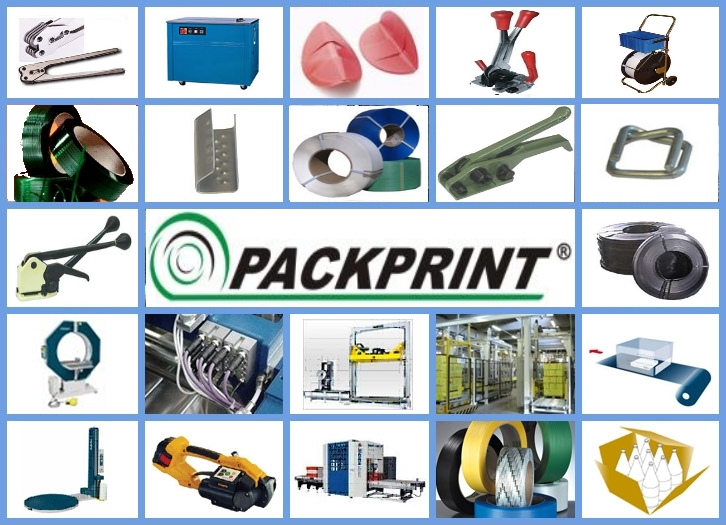 More than 10 years of dynamic development allowed LTD. "Packprint" to occupy strong positions at the market of production of packing materials. Our main task is a grant to the Ukrainian and foreign market of high-quality packing materials and equipment such as: polypropylene, polyestere and metallic ribbons and also accessories and expense/pl materials to them (metallic and wire staples, protective corners, hand clamping instruments, automatic and semi-automatic packing equipment ), tapes of stretch (PE, PHV) and expense/pl materials (hot and cold tables, dispensers), packing and protective skochs, special glueings ribbons, two-sided sticky ribbons, brend skoch (with a logotype). For effective activity the structure of enterprise is divided into a few basic directions: production, sales and marketing department, department of logistic, department of External Economic Activity. Presently our enterprise produces and processes in a month: 200 tone of polypropylene ribbon and wares from a polypropylene, more than 70 tone of wares from a metal, more than 80 thousand of things of brending skoch; we rewind and cut more 200 tone of strech and more than 100 tone of two side of sticky ribbons. The arranged and clear work of sales and marketing department allows fruitfully to realize and move forward the products of enterprise, both at the internal and on external market. Service and informative support appears permanent and new clients. We study demand and prospects of development of new markets of sale constantly. Rational organization of own storage facilities and department of logistic intended for timely delivery of load in any point of country. Productive work of department of External Economic Activity allows to extend the circle of international partners-suppliers and organize timely deliveries of commodity. Inculcating new technologies and ideas, constantly modernizing our production, we tirelessly work above expansion of assortment, increase of the productivity and timely and complete providing of clients our products.